On Friday, November 17th and Saturday, the 18th, Professor Inga Winkler and students from her class on UN Human Rights Bodies in collaboration with the Universal Rights Group hosted a roundtable on the catalytic role the UNHRC’s thematic Special Rapporteurs play in the promotion of economic, social and cultural rights (ESCRs). In attendance were former Special Rapporteurs, members of academia and international, national and local civil society to provide first-hand insight on how Special Rapporteurs have shed light on human rights violations. Their discussions revealed the risks, challenges and obstacles Special Rapporteurs face, as well as success factors and opportunities for improvement in the quest to create long-term change in the realization of ESCRs. By the time talks drew to a close, it had become apparent that such a meeting was long overdue. The discussions revealed that not only is so little known about the degree to which Special Rapporteurs’ work translates to increased enjoyment of human rights in people’s lives, but that there is much Special Rapporteurs and the stakeholders they interact with do not know about the mechanics of one another’s roles. Day one opened with lessons learnt from Special Rapporteurs’ engagement in a case study focused on Detroit: the skyrocketing water rates and subsequent shutoffs that hit tens of thousands of households of the city’s most economically vulnerable households in early 2014. By June, a coalition of local advocacy groups had called on the joint efforts of the Special Rapporteurs on the rights to water and sanitation (WASH), adequate housing, and extreme poverty to issue an urgent appeal to the US government. The (now former) Special Rapporteur on WASH, as well as representatives of the advocacy groups that were directly involved in the case were present to add to the wealth of insight attendees had on the best practices and specific challenges that appear when gathering information for reports and appeals. 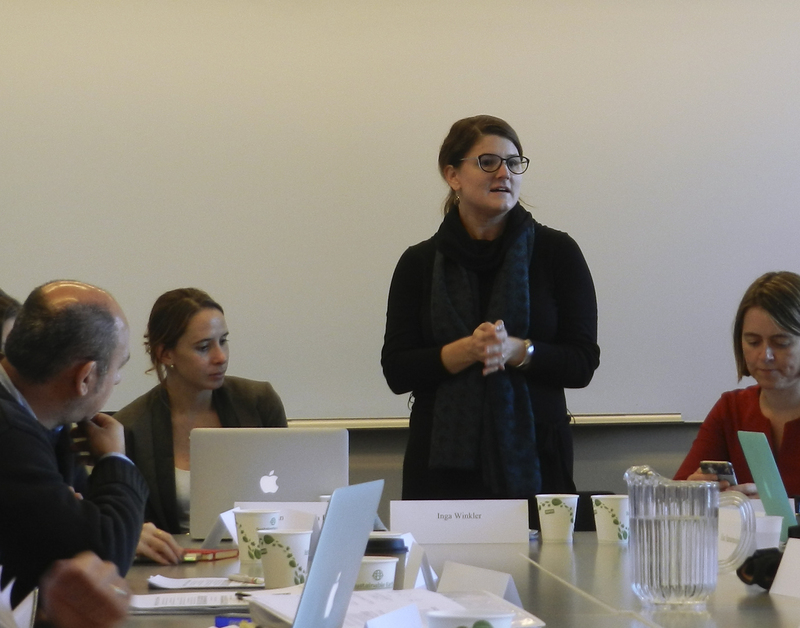 For the day’s second session, focus turned to the skills and professional backgrounds that Special Rapporteurs found most shaped their work, and which have most bearing on the Special Rapporteur appointments. Discussions also touched on how to promote diversity of applicants and encourage more qualified, capable candidates to apply. The agenda for day two was packed with four more sessions. Expanding on Friday’s discussion, session three examined how newly-appointed Special Rapporteurs identify which stakeholders to collaborate with, how they establish and maintain long-term relationships with them, and which tactics they used to elicit responses from less cooperative actors. The range of stakeholders included states, civil society, the private sector, media, other Special Rapporteurs and, quite importantly, those who directly witness or experience human rights violations. Session four steered the conversation to funding for Special Procedures. Questions addressed the transparency, allocation and management of funds, how the imbalance of funding between different and ever-increasing number of mandates could be rectified, and how Special Rapporteurs preserve their independence in the face of donor interests. In session five, talks turned back to questions of strategy, with a particular focus on identifying existing and potential efforts for the realization of ESCRs. Speakers revealed their experiences in helping to shape the early development and recognition of ESCRs in the face of long-standing systematic and structural obstacles, how they depicted the urgency and importance of realizing ESCRs to different stakeholders, and the strategies they found most helpful in holding states accountable regarding these rights. The final session served as a reflection on the weekend’s deliberations and as a hopeful look forward. All put forth the obstacles and challenges they faced with great openness as lessons future Special Rapporteurs and anyone engaging with them can learn from. At the same time, participants shared the success factors and opportunities that may be built on and used to achieve the true indivisibility of ESCRs from other human rights. The Program on Economic, Social and Cultural Rights in the Institute for the Study of Human Rights and the Universal Rights Group will continue their work on the project through a series of case studies and will publish a final report on the project with lessons learnt and policy recommendations. Sydney Amoakoh is an M.A. student of Human Rights Studies at Columbia University. With international intern and volunteer experience in sexual violence response and prevention, awareness-raising of pediatric cancer in developing nations, and disarmament policy research, Amoakoh's focus is now vested in the right to health of refugees, particularly women.